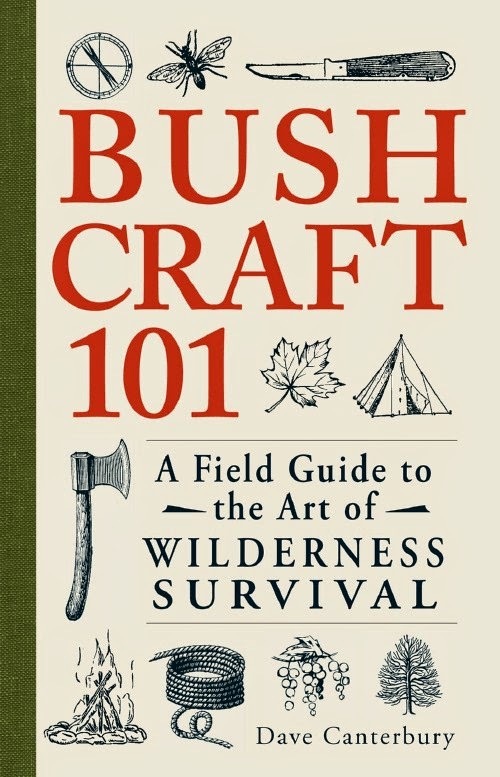 In the New York Times bestselling new book Bushcraft 101: A Field Guide to the Art of Wilderness Survival survivalist and travel expert Dave Canterbury gets outdoor lovers ready for their next backcountry excursion or camping trip. This valuable guide offers only the most important survival skills to help any traveler craft resources from their surroundings and truly experience the beauty and thrill of the wilderness. * The 5Cs of Survivability—cutting tools, covering, combustion devices, containers, and cordages. We received a complimentary copy of this book to review for all of you. We do some camping every year but the truth of the matter is that we are novices and have a lot to learn. This book is absolutely fantastic for newbies and experienced campers. I love how everything is broken down into easy to read chapters and the author doesn't talk way above your head. He explains everything in quite a bit of detail so that even a newbie can understand the information and techniques in the book. You will find numerous diagrams on how to construct your own lean-to, how to tie knots, how to use an axe, how to burn ember, how to make twig bundles and so much more! He even tells you what kind of plants found in the bush are edible should you need them as a food source. In the back of this comprehensive guide you will find what I call "bush recipes" for things like how to cook frog legs, squirrel or rabbit toast, basic bannock, boiled beaver, muskrat soup, raccoon stew, baked dove breasts and how to cook snapping turtle. This is one of those books that everyone needs if they are going to be spending any time out in the wilderness and with the holidays just around the corner, it would make a great holiday gift! You can purchase this book from Amazon. Disclaimer: Shelly has personally reviewed the product listed above. Shelly has not received any monetary compensation for her review. Shelly did receive a free product to try out so she could evaluate and use it for her review. Her thoughts & opinions in this review are unbiased & honest and your opinions may differ. The PA Travel Blog is not responsible for delivery/shipping of giveaway items won from this blog nor are we responsible for mis-use or injury caused by items won from this Blog. Content on this blog is copyrighted, all rights reserved. We reserve the right to legally pursue anyone who violates our rights and/or steals our copyrighted material.